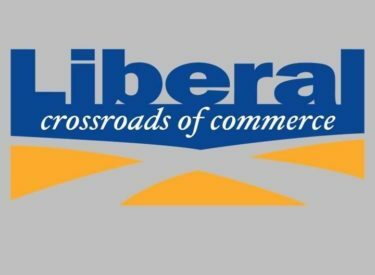 The Liberal City Commission called a Special Meeting for Monday morning at 11:00am. Several items were on the agenda, with a couple additional items added with an amended agenda. Action items included the sale of confiscated weapons from criminals. In the past, the police Department utilized a company that is no longer in business. The Commission approved the sale of the weapons to Post Rock LLC. in the amount of $8,365.00 with the funds to be placed in the Forfeiture Funds of the Department. Also approved for the Street Department was the purchase of an air conditioner recharge machine from Riley Chevrolet in Hugoton in the amount of $3,000. Several items for discussion with contracts for review on some items, presented to the Commission, with no action taken. Items discussed were contracts with National Beef in regards to the Waste Water Treatment Plant, the City Managers contract, Proposed Utility Rates, the sale of the 7 Self Help lots that the City owns after opting out of the Self Help Housing Program, discussion on contracts with the Mid America Air Museum Foundation regarding the Air Museum, and South Middle School possibilities as a Recreation Center. The meeting was held at City Hall.